Never leave keys under the mat again. Create custom entry codes to give to family, friends, your dog walker, handyman, or guest to unlock your august smart lock without a traditional key or smartphone. Plus, know who enters and exits your home with an activity log, all through the free august app for iOS and android. An accessory product to the august smart lock, august smart keypad is simple to set up, easy to use, and controls your august smart lock via secure Bluetooth technology. Runs on two AAA-batteries. No wiring required. House cleaners, dog walkers, and other service providers can securely come and go using a temporary PIN. 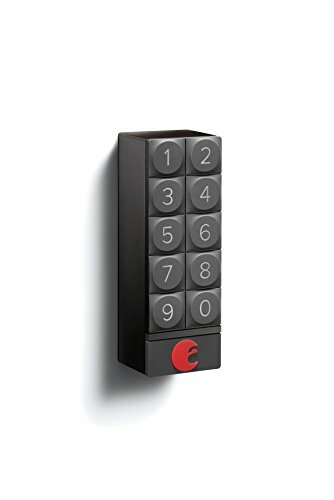 Locks door with the simple push of a button.